Coming up in a couple short weeks we will celebrate a cousin’s wedding! All of my girls will have the privilege of a part in the ceremony in some way. Littlest girl is a flower girl! 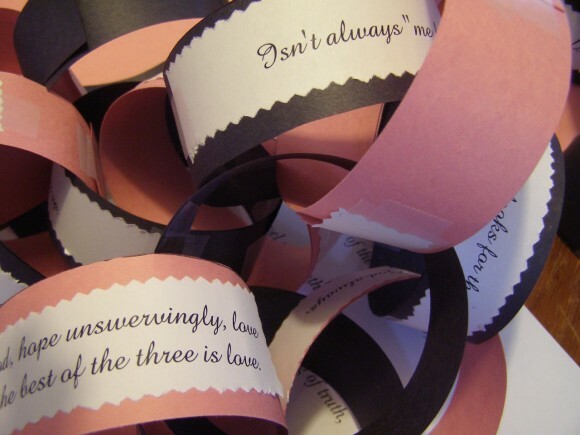 Two years ago, when another cousin of mine wed, I saw these beautiful paper chains on Everyday Celebrating. 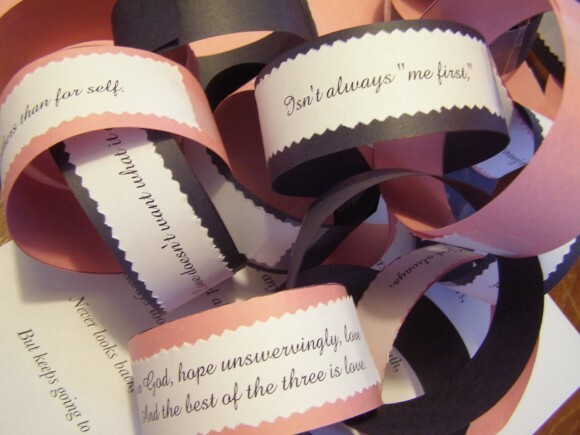 You can order a custom made paper chain for any occasion.